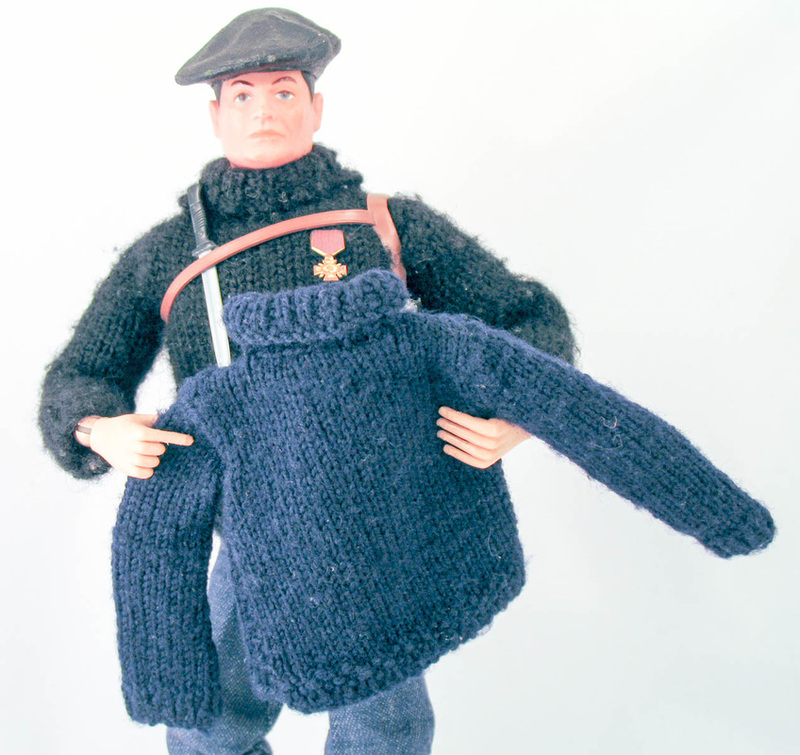 Wearing the stylish knit turtleneck sweater, the French Resistance Fighter is ready for action. 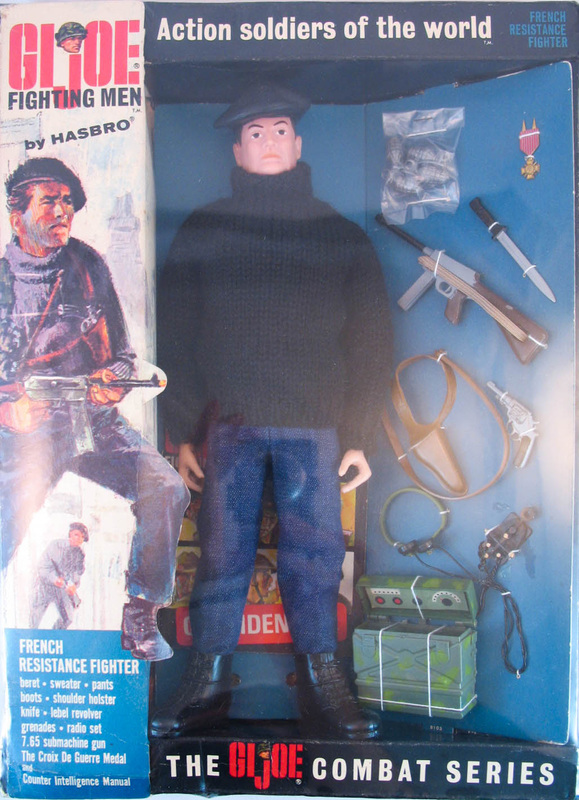 The shoulder holster (recast in black) and Lebel revolver would later become standard equipment for the first issue of Adventure Team figures in 1970. 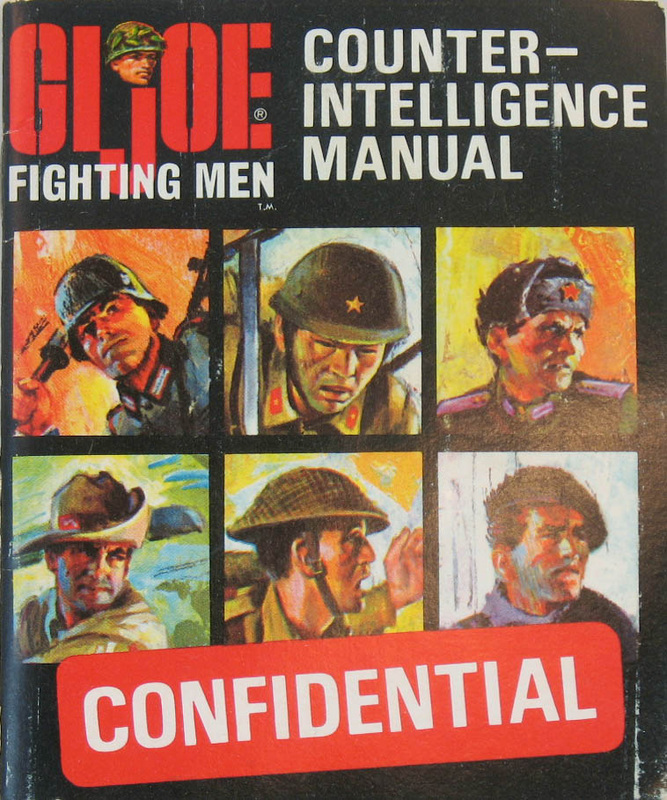 The set was available in a deluxe window box (8103) and as a narrow figure box (8203) and a carded set of accessories (8303). 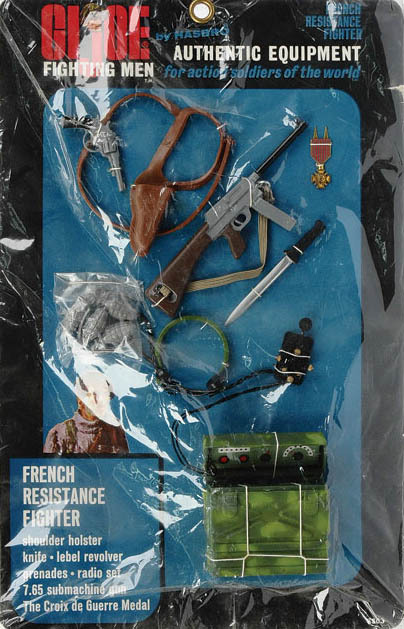 Like the other SOTW figures, the French Resistance Fighter came in a large deluxe box and a narrow box with an accompanying accessory card. 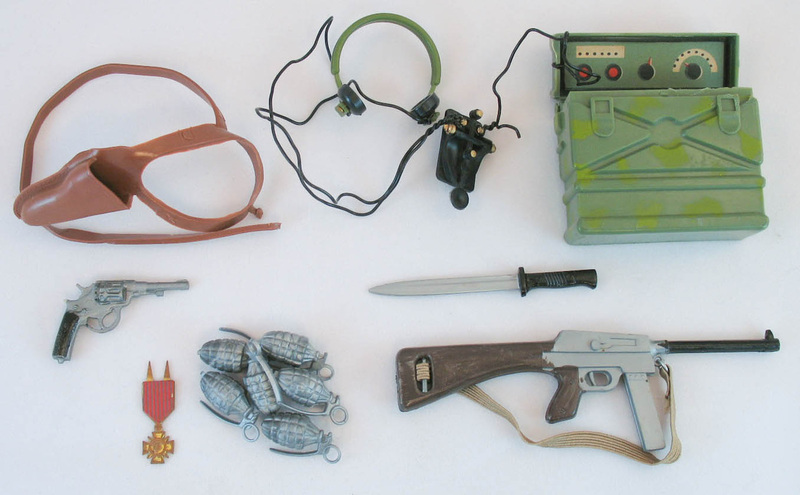 French equipment (left) and Counter Intelligence Manual. Samples of the French sweater have shown up in a number of colors. Below, one knit in navy blue.